The Star of Light stamp set is so calm and beautiful. I used the Shimmery White card stock and spritzed it with a little bit of Tempting Turquoise ink. It's hard to see, but I love the colored shimmery look! So many beautiful possibilities with this bundle! 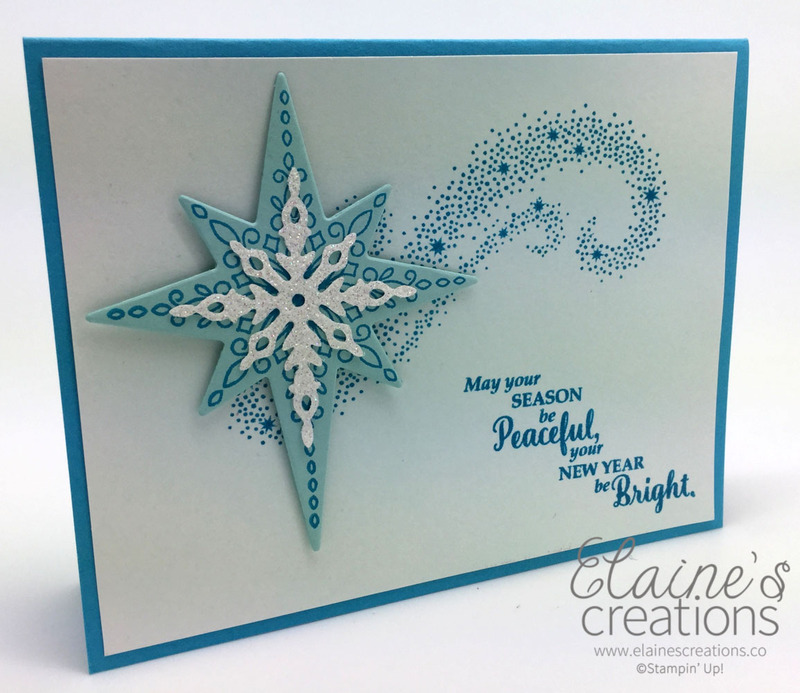 I love using a monochromatic color scheme to really make the star pop!